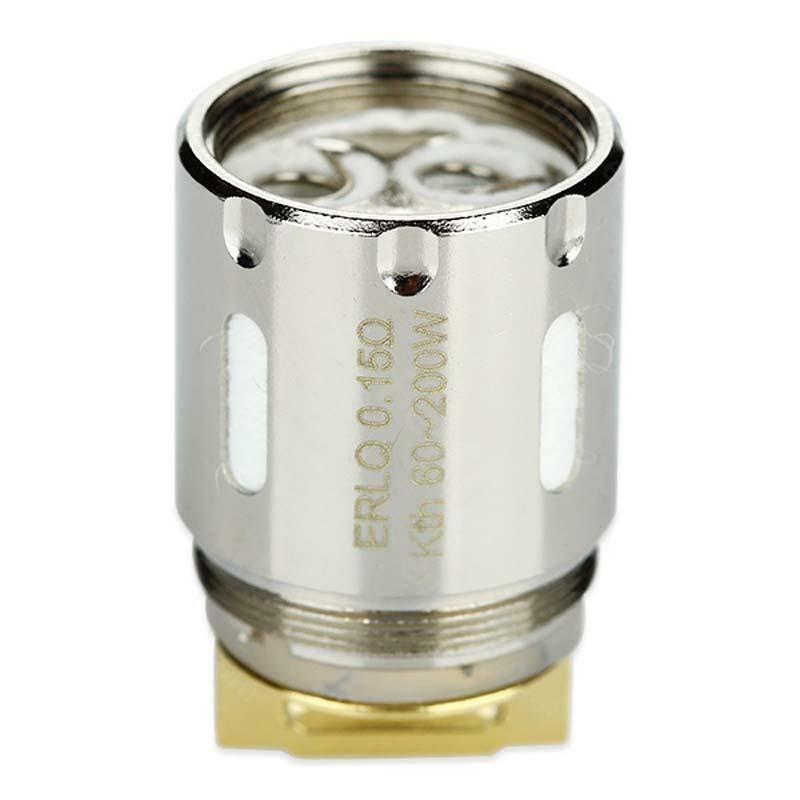 The new ERLQ Head 0.15ohm is for Melo RT 25 atomizer. And it is consisted of quadruple kanthal coils and is compatible with VW, Bypass and Smart modes. 5pc per pack. The new ERLQ Head 0.15ohm consists of quadruple kanthal coils and is compatible with VW, Bypass and Smart modes. It is rated as an ultra high powered 60-200W device, offering you an awesome vaping experience with huge vapor production. It is ideal for the Melo RT 25 Atomizer. • Please first drip a few drops of e-liquid directly into the coils to make them fully saturated before first use. • Please don’t vape until e-liquid nearly runs out. Otherwise, the coils inside will be damaged. Eleaf MELO RT 25 ist ein sehr guter Atomizer der guten Geschmack bringt und große Wolken macht. absolute Kaufempfehlung für leute die auf Wolken stehen. Eleaf Melo RT 25 ERLQ Coil is a 5pcs/pack. For Melo RT 25 Atomizer ERLQ Head support with a 0.15ohm resistance.